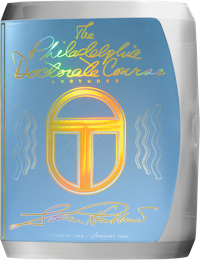 The complete description of the behavior and potentials of a thetan, and textbook for the Philadelphia Doctorate Course and The Factors: Admiration & the Renaissance of Beingness lectures. 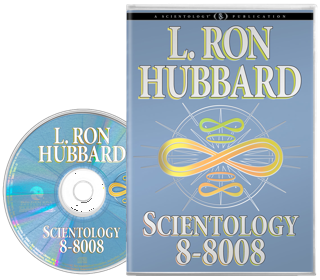 As L. Ron Hubbard said, the book’s title serves to fix in the mind of the individual a route by which he can rehabilitate himself, his abilities, his ethics and his goals—the attainment of infinity (8) by the reduction of the apparent infinity (8) of the MEST universe to zero (0) and the increase of the apparent zero (0) of one’s own universe to infinity (8). Condensed herein are more than 80,000 hours of investigation, with a summarization and amplification of every breakthrough to date—and the full significance of those discoveries form the new vantage point of Operating Thetan. It's seemingly everywhere, enforcing its command on every being, awaiting with pain any disobedience to its laws and commands—enforcing a constant struggle to survive for one and all: The MEST universe. Yet…it’s not even there…it’s only an agreed-upon “reality”…it’s only an illusion. 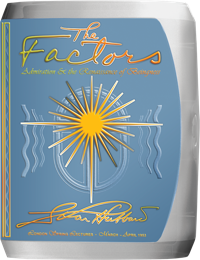 Here, then, is Ron’s epic journey—ransacking facsimiles on the whole track to expose the illusory “truth” of the MEST universe and the means to reduce its power to zero and increase one’s own universe…to infinity.